The Switchblade is Cabrinha’s solution for ultimate wakestyle performance. It is a machine which blends efficiency and ease of use with power and predictability. Following the steps of the Switchblade, the Cabrinha team has designed the Siren. The Siren or Switchblade Siren is especially designed for girls and lightweight riders. The Switchblade Siren offers the same high performance as the Switchblade, only that it has a lighter bar pressure and a quicker turning speed. The ladies will surely love this kite. The new Cabrinha Switchblade Siren is not only a perfect wakestyle machine but also a reliable an efficient kite when it comes to freeride, freestyle and surf. 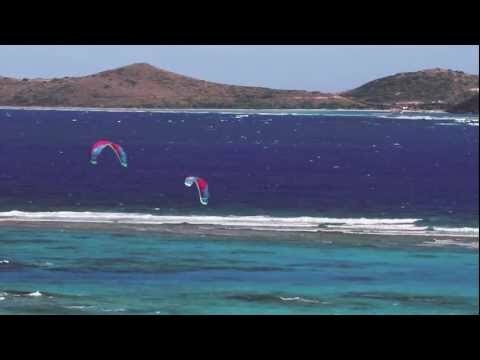 The kite is built using the Skeletal frame technology introduced by Cabrinha to maximize overall durability without affecting the lightweight structure. The Skeletal frame technology is based on strategically placed reinforcements into the framework that surrounds the lighter weight canopy materials. The Siren is well balanced and feels extremely reliable when riding hooked or unhooked. It is very predictable and responds accurately to rider input, no matter what. Even in shifting winds or inconsistent conditions, it has a direct and stable feel and it is easy to park and ride. It uses a Dynamic Arc design which makes it aerodynamic, fast and easy to handle. The five strut configuration keeps it steady in most conditions. The Cabrinha Switchblade Siren offers impressive relaunch. It can be lifted back into the air in a matter of seconds. The depower is also awesome, thanks to the IDS system. The kite is easy to set up and can be inflated in seconds thanks to the Sprint single point inflation system. 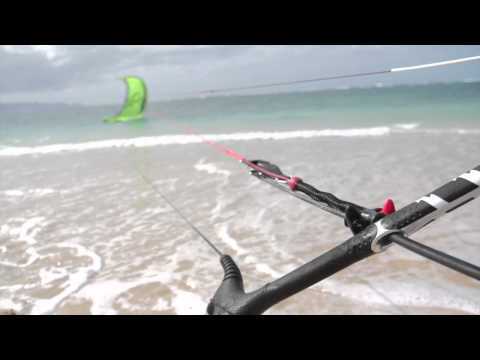 This kite is perfectly complemented by Cabrinha’s Siren XO kiteboard. Just like the Quicklink IDS, the Quicklink IDS Siren blends lots of features into a clean design and an ergonomic structure. It uses internalized lines, swivels, and quick releases for ease of use and to optimize control. It is a highly intuitive control system.